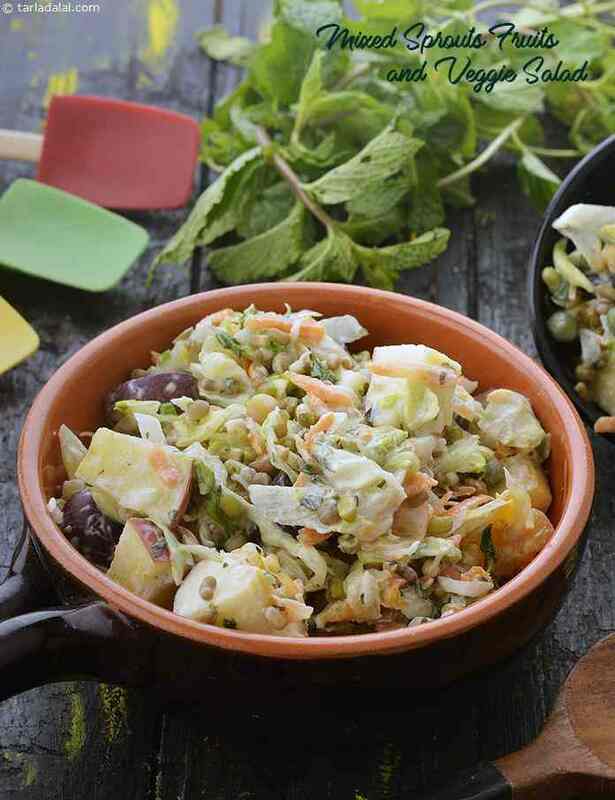 Fruits are often associated with fruit salads and juices, but you will be amazed to see how fruits can be used to make a variety of mouth-watering salads, along with other ingredients like veggies, sprouts and tasty dressings that perk up the taste and nutrition quotient of these salads. Not only do fruits add a juicy crunch to the salads, they also pool in fibre and other important nutrients like vitamin C and potassium, which are very important to maintain body functions. Fruity Salad Recipes include Penne and Fruit Salad , Watermelon and Mint Salad , Lettuce and Apple Salad , etc.